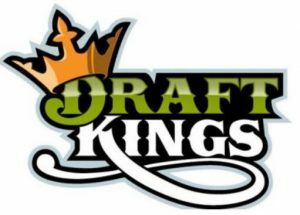 DraftKings to Offer Online Casino - With Live Casino Service! When competition in Atlantic City peaks, you can witness some of the most innovative and creative concepts come to life. With that said, DraftKings (DK) announces that they’ll soon be offering live casino! According to sources, Evolution Gaming will provide DK with the services via their US Live Studio in AC. On that note, let’s check out all the details. After all, this deal is definitely a game changer for Live Casino and DFS Enthusiast! DK now joins a high-profile list that includes names like 888, Resorts, Hard Rock, Ocean Resorts Casino, PokerStars, and PlaySugarHouse that all use the Evolution Gaming Studios. Traditionally, DK is a Daily Fantasy Sports (DFS) operator, but over the past few years, they’ve been expanding into new verticles. In the process, they’ve become the leading brand in NJ sports betting. In fact, their reporting revenue for last month alone stood at a strong $6.7 Million! With that said, Evolution Gaming plans to help DK expand its services by taking advantage of a growing market. Being that FanDuel is the leading sportsbook in NJ, we wonder how they plan to respond to this news. What do you think? Will this not affect their status, or will this move by DK become a trendsetter? So there you have it, sports betting operators in NJ could enter a new era, once again. In those regards, we expect this is going to be a huge year for DK. Going forward, it’s going to be exciting to see how far this will go and how the market will respond to this new move by DK.